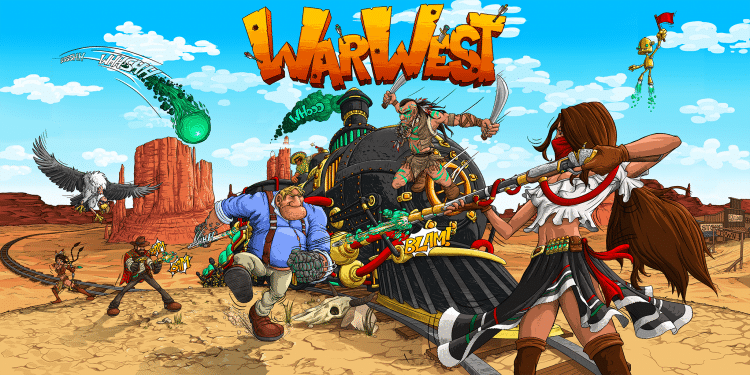 WarWest on PC is a MOBA that will thrust you into a mixed western and steampunk world where fierce battles take place. You can jump into the fight alone or team up with friends and strangers from all over the world to fight for glory. Full Cycle Games, the team behind this title, wanted to offer players a little bit of everything. You will be able to challenge one other play in versus mode or lead a team in co-op battles. From tower defenses to survival and conquest fights, there are enough game modes to keep you busy. The game will offer more than 60 units and spells for you to use in battle. Many battle-centric games give players tools to improve fighting characters in order to perform better in the future. However, it can be quite frustrating to spend weeks sometimes months building up a hero only to find out you are more competitive with another character. WarWest removes that boring grinding and leveling up from the equation. There is no difference in levels between novices and old players. Forming a good battle strategy is what will earn you victory. So, you just need to focus on selecting the right cards from the get-go. WarWest does more than simply connect players from all over the world. The developers designed this game so that players can take part in challenges regardless of the device in use. In fact, the cross-platform architecture of WarWest allows gamers on Android and iOS to play together. The developers have even promised to launch WarWest on PC as well. Multi-platform support and lots of game modes sound quite impressive for a MOBA. But, WarWest combines all that with great visuals to give players a great gaming experience. The graphics in the game feature hand-drawn art style that really stands out. Since the visuals have a cartoonish aspect, this helps to create a cheerful mood. WarWest is currently in development. The young team at Full Cycle Games is seeking out players to test their beta version. Simply visit the WarWest official website to sign up. All you need to pre-register is an email address. When playing WarWest, you will find multiple maps for every game mode. Use the maps during battle to help you get around and keep track of teammates. Knowing where your teammates are in multiplayer modes will also help you in planning strategic moves. The combination of cards you choose in WarWest can make the difference between winning and losing. You need to have a selection of cards that will guarantee your success. As you unlock new units and spells, make sure to learn how they work and utilize them in your favor. The most exciting aspect of WarWest is that you will be able to beat up other real players from all over the world. However, beating actual players is not going to be easy if you don’t sharpen your battle skills. Before taking on multiplayer challenges, practice in solo mode with different characters to get a good handle of the game. Go to the search box in Bluestacks and type “WarWest” without the quotes, of course. That is it! You can now enjoy your freshly installed copy of “WarWest” on your favorite PC!